GET 15% OFF ON YOUR BIRTHDAY MONTH ! HOW TO CLAIM YOUR 15% OFF BIRTHDAY VOUCHER? 1. Send a picture of your IC to hello.pinkboxcereal@gmail.com for verification. 2. Use the coupon code provided to claim your 15% discount. 1. Promotion valid during birthday month only. 2. Promotion valid for one-time purchase only. If you are a first-time/new customer, use this code instead: NEWDOLL10 to receive RM10 on your first purchase (minimum spend RM100)! 1) Meet the minimum criteria of the Dolls Club Rewards! 3) We will review your email address for submission & approval! 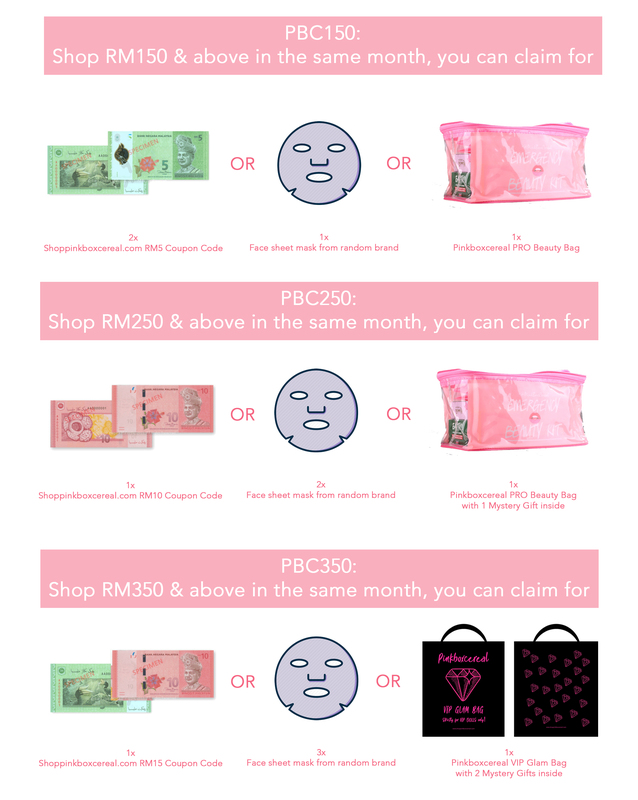 PLEASE NOTE THAT THIS NEW APRIL REWARDS ARE ONLY APPLICABLE FOR MARCH 2019 SPENDING ONWARDS. 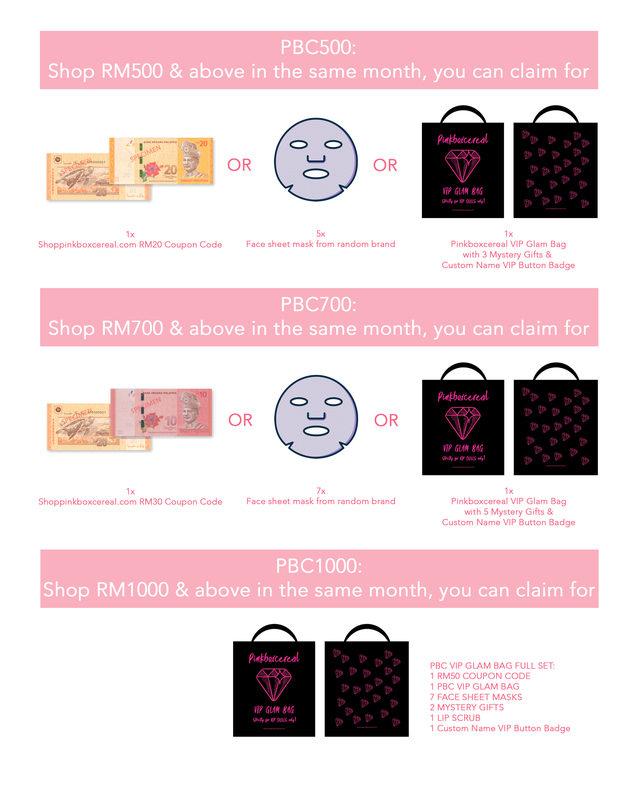 FOR UNCLAIMED REWARDS IN FEBRUARY 2019, YOU ARE ENTITLED TO OUR PREVIOUS REWARDS CRITERIA. Shhh.. Here's A Little Tip!